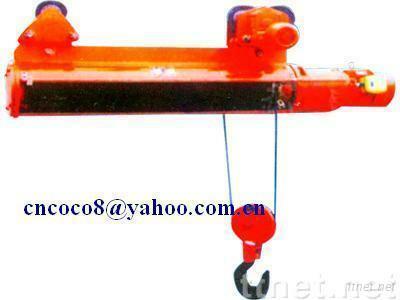 Electronic Hoist,Rail,Motor,Cab,Winch and other accessories. Including CD1 MD1 type, explosion-proof type, HC, HM series, curve traveling series, extra-high series, Over-load serials. They are vastly used in warehouse, factories, and logistics and so on. Our products are characterized as trinity-driven system, flexible speed adjustment, stabilized traveling, lifting and point-to-point movement, with over-loading alarming system, unlevel lifting and crushing-top protection system and 12V operation board to fulfill multi-function protection of hoist..